Swedish renewable energy developer Svevind has revealed that the last rotor blade assembly has been completed on the Markbygden ETT project, in which China General Nuclear subsidiary CGN Europe Energy has a 75% stake. These details were revealed earlier in the month. The Markbygden ETT project (Ett means one in Swedish) is the third stage of Phase 1 of the huge Markbygden 1101 project (with 1,110 planned turbines), which will eventually have a capacity of up to 3,400 MW. This corresponds to approximately 7% of Sweden's total electricity consumption, and approximately one third of the total renewable energy targets of Sweden for 2030. 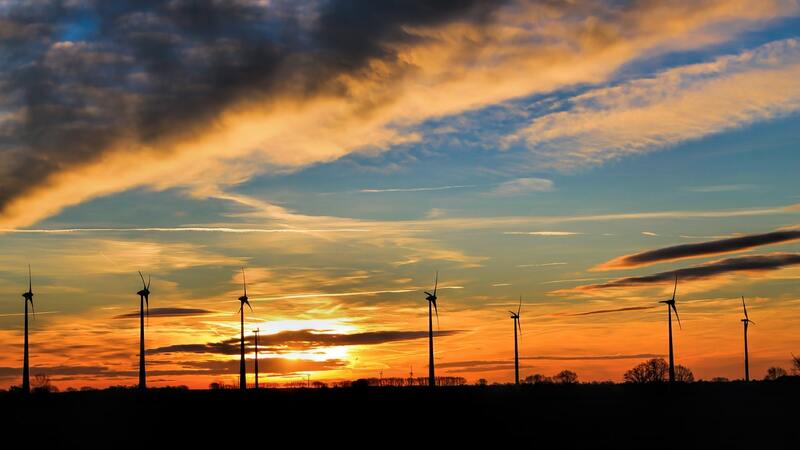 The 650 MW Markbygden ETT part of the project itself comprises 179 turbines, which will be connected via an existing substation to the national grid. The first set of turbines were already operational last year. The project is being developed by Svevind, which is a privately-owned company located in the north of Sweden working with renewable energy sources. Svevind plans, develops, sells and operates land-based wind power projects of varying sizes. It is currently utilizing GE Renewables 3.6 MW turbines, with a hub height of 131 metres. In 2017 Svevind brought in Macquarie Group unit Green Investment Group (GIG) and GE Energy Financial Services to reach financial close on the 800 million euro project. The two concerns invested 300 million euros in equity, and then sought a mix of debt funding from development institutions, the export-credit market and commercial banks familiar with the Nordic energy market. GE Capital has a strategy to invest in and structure financing solutions in support of GE in key global growth markets. The project was financed on a non-recourse project financing basis with 500 million euro in debt financing from the European Investment Bank (EIB), Export Credit Guarantees of the Federal Republic of Germany (Hermes Cover), NordLB (acting as MLA advisor and ECA bank), KfW IPEX-Bank and HSH Nordbank. Subsequently, in July 2018 China General Nuclear European Energy acquired a 75% stake in the project from GE Capital and GIG. Markbygden ETT is backed by the largest corporate wind energy power purchase agreement (PPA) in the world. This PPA helped de-risk the project, and put in place low-cost, long-term financing. Norsk Hydro, already one of the largest consumers of renewable PPAs globally, will purchase a fixed volume of power from the project over a 19-year term. In doing so, they are able to fix the price of a significant portion of the electricity demand for their Nordic Aluminium manufacturing facilities.